While doing some damage at the SF Westfield mall, Cupola quickly caught my eye. At the very top of the shopping center is a brand new Italian restaurant from the Lark Creek Steak Restaurant Group serving up gourmet pizzas and pastas. If you’re planning on dining here, be prepared to wait. We waited about an hour for a table of 3, but you can also make a reservation. Though, it seems kind of silly to make a res for mall food, but here, it’s necessary and worth it. Believe it or not, we were trying to eat light, so we decided to skip the pizza and order gnocchi with lamb ragu, fried calamari salad and warm mozzarella with broccoli rabe. 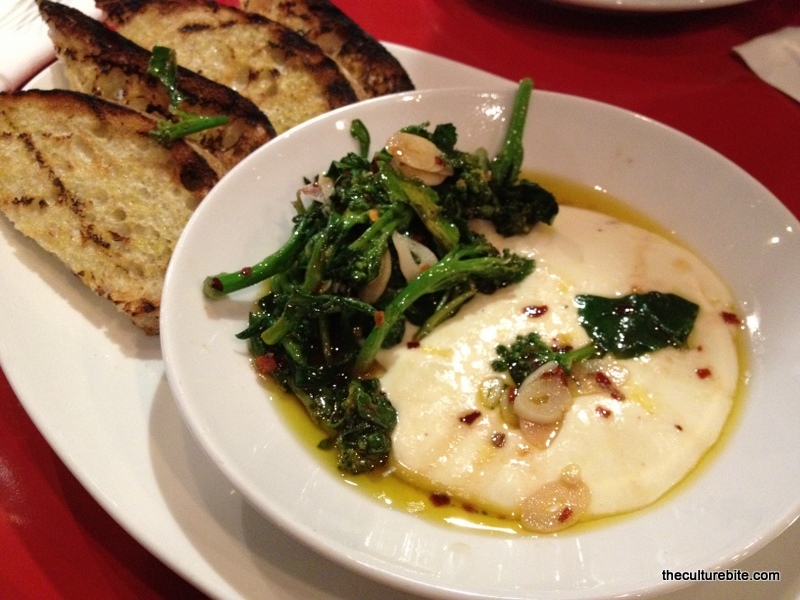 We started off with Warm Pulled-to-order Mozzarella with broccoli rabe and crusty crostinis. So rich, creamy and amazing. The toasted chili flakes were a nice compliment to the heavy dish. Next, we had the Fried Calamari Salad. 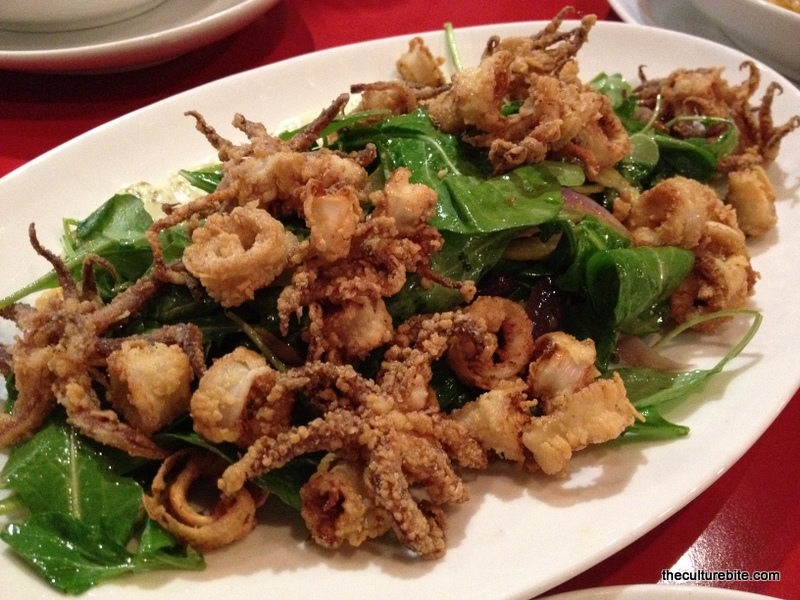 A generous portion of deep fried calamari was topped on a bed of well-dressed arugula, red onion and thinly sliced lemon. The calamari was fried perfectly without tasting too greasy. For our entree, we split the Potato Gnocchi with braised lamb, red kabocha squash, honey thyme vinegar and pecorino cheese. As if I couldn’t be more pleased, they bring me this dish. 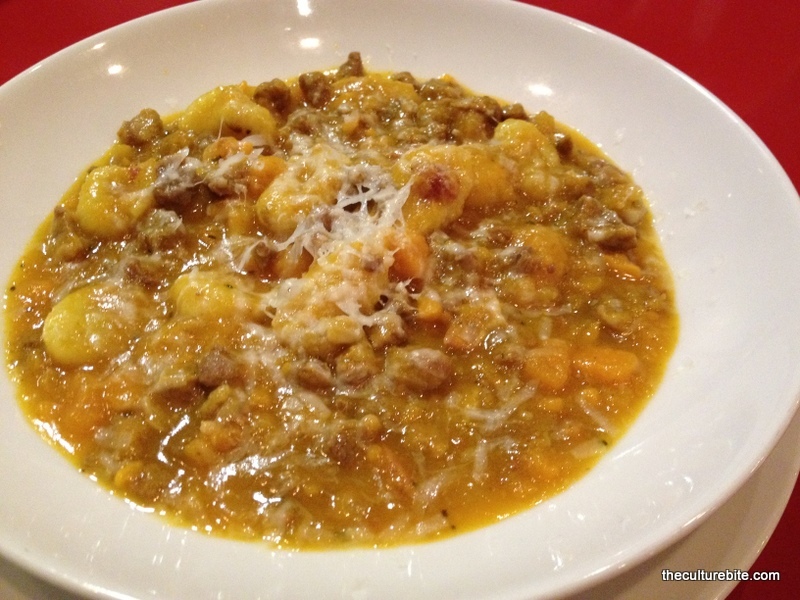 The gnocchi was light and airy, the lamb tender, the sauce sweet and creamy while still savory. The dish was completely amazing and I’m definitely ordering this again when I come back. Overall, I was thoroughly wow-ed by Cupola. For mall food, this was pretty darn good. Though, I’ll need to eat the pizza in order to tell if this is legit. Can’t wait to come back!